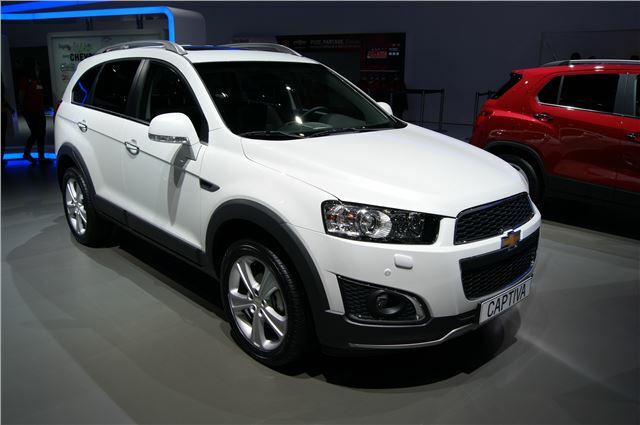 Chevrolet has given the Captvia SUV a light refresh, and it's making its debut at the 2013 Geneva Motor Show. Cosmetic changes are minor – there’s a new front bumper, new taillights, new grille design and new fog lights. There are also new 18-inch alloy wheels. The cabin has been refreshed, too, with new seat coverings and restyled trims. Specification has been tweaked a little – top models now get keyless entry and start, while there’s dual-zone climate control, ambient lighting package and heated seats in some trim levels.